The Atkins diet has become increasingly popular in Britain as a weight loss method, it has not reached the level of use in America, but branded Atkins products to accompany the diet are now appearing in many shops. This high-protein, high-fat, low-carbohydrate diet was first developed in the States by Dr Robert Atkins, M.D. in the 1960’s. Dr Robert Atkins then re-launched the concept in the 1990’s by releasing his book called the ‘Dr Atkins Diet Revolution’. The premise behind Atkins is that if you cut out or severely restrict the amount of carbohydrates in the diet, the body will then be encouraged to go into a metabolic state known as ketosis, which burns fat as fuel rather than carbohydrate. The Atkins diet does not exclude vegetables, but it does restrict the type and amount, although most salad vegetables can be eaten in abundance while following this diet. 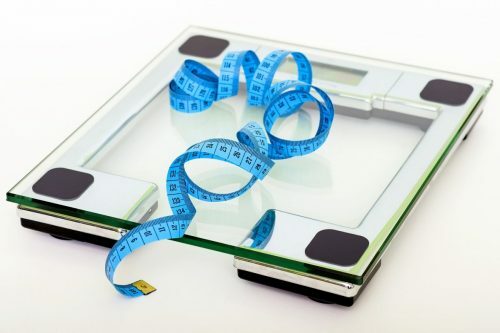 When Atkins first became popular and many people claimed to be losing weight whilst following the programme, some researchers tracked some individuals using the Atkins diet approach and found that they were unwittingly calorie restricting. Any sort of diet that reduces calorific intake will reduce weight at least in the short term. One of the earlier uses for the high protein/high fat diet was in epileptics, where driving them into ketosis made the occurrence of fits less likely. A drop in blood sugar can lead to an epileptic fit and this approach reduces blood sugar variations. Another advantage to the Atkins diet is that high protein meals are more satisfying making you less likely to snack between meals and so less likely to eat junk fattening food that will increase weight gain. Some individuals have also found that they are able to lower their cholesterol while on the Atkins diet however counter intuitive this is. Does the Atkins Diet work for Weight Loss? Yes – Recent dieting studies have not only shown it to be effective is was more effective than a low-fat moderate carbohydrate diet over a twelve-month period. However, in January 2004 a high complex carbohydrate and Low Fat diet (Ornish diet for heart health) was very successful at achieving weight loss. It would appear that everyone would benefit from removing or at least radically reducing refined carbohydrates from their diet. Are there any long-term problems associated with the Atkins diet? There is an increased risk of osteoporosis due to high animal protein intake and kidney disease becomes more likely. In the short-term bad breath and constipation affect many people. The latter can be overcome by following the Atkins protocol of taking generous amounts of linseed (flax) and using the supplements as directed. It is very important to use the recommended supplements as part of your weight loss plan in order to correct the various deficiencies caused by dietary restrictions. If these dieting guidelines are ignored and the diet is followed long-term without the supplement program, then there is an increased risk of various degenerative diseases due to low antioxidant status and high saturated fat consumption. So influential has the Atkins diet become regarding weight loss that one fast food chain now offers the Atkins burger (no fries and no bun). A number of branded Atkins products are also available including bars to enable you to snack while on the diet e.g. low carb’ high protein bars so as not to break your diet regime. There are also special baking mixtures available to make breads and cakes (do note that some of the baking mixes contain a lot of gluten, which is an issue if you are a coeliac or are wheat sensitive). An alternative diet called ‘The South Beach Diet’ has become popular as it allows more variety of foods and is thought to be associated with fewer health risks. 3 responses to The Atkins Diet, Does it Work and is it Healthy? Comment on The Atkins Diet, Does it Work and is it Healthy? Atkins Diet and any other types of diet that is based on Low Carbohydrate intake is always good for health. research shows that Caloric restriction increases the life span of humans, this is due to the fact that lesser amounts of free radicals are produced inside the body. me and my girlfriend have been on Atkins Diet for about a year now. this diet is really good for the general health. Atkins Diet helped me to tone down my body fats. now i am very lean and skinny. Leave a reply to The Atkins Diet, Does it Work and is it Healthy?